New freebie alert! 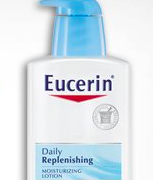 Snag a FREE Sample of Eucerin Lotion! Simply select the sample you’d like to receive, then fill out the short form! Allow 4 to 6 weeks for delivery!